Displays all OST items including emails, attachments, Deleted Items, Calendar, Contacts, etc. 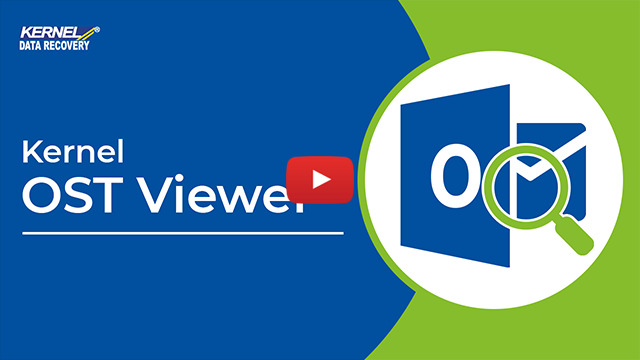 OST Viewer Tool – What’s it for? Viewing email data by Date, From, To, etc. What is an OST file? OST file stands for Offline Storage Table which is an offline copy of the Exchange mailbox. You can make changes in OST file content in offline mode. The changes made in OST file will get automatically updated by synchronization when connected with Exchange Server. Where is the OST file located? 2. With Search option in OST Viewer tool In OST Viewer tool, Search option automatically extracts all the stored OST files from the specified drive at one go. To perform this, enter the drive location and click Search in Source File Selection dialogue box. All the OST files are extracted at once, thus making the task of locating OST file convenient for users. 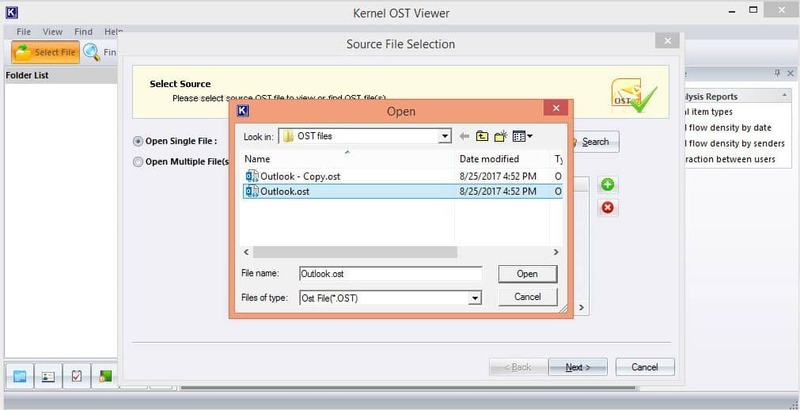 OST Viewer tool allows access to Exchange Offline folders file (OST) without establishing a connection with MS Exchange Server. 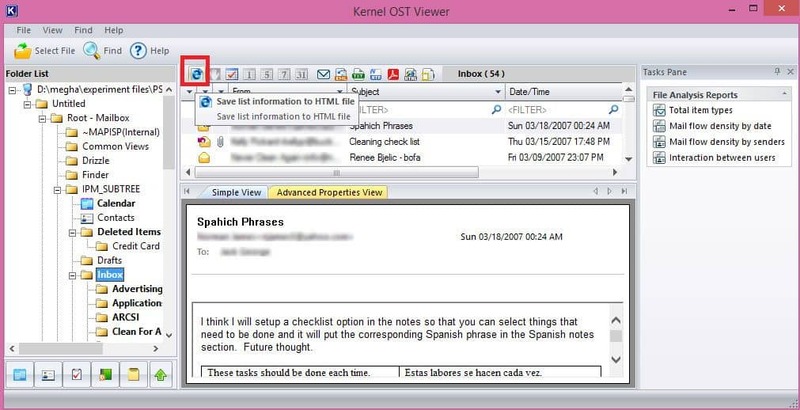 The tool scans OST file and displays its entire content including emails, calendar items, notes, contacts, etc. 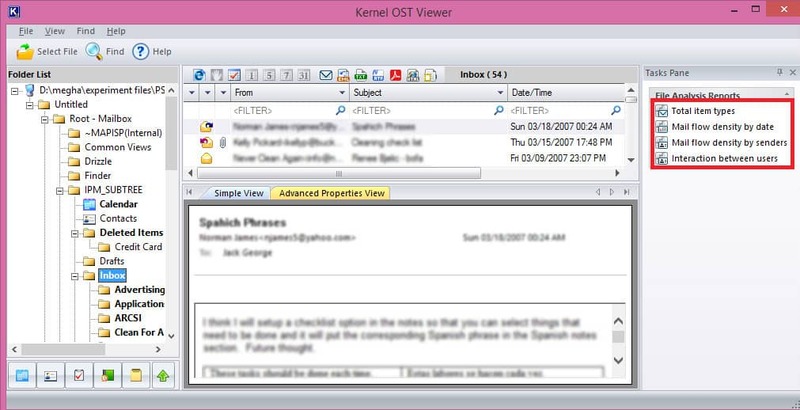 With OST Viewer tool, you have the privilege to access particular email items with ‘Find’ option. In the selected mailbox folders, you filter the emails by From, To, Subject, Date Range, Attachments, etc. Thus you can locate and preview specific emails. 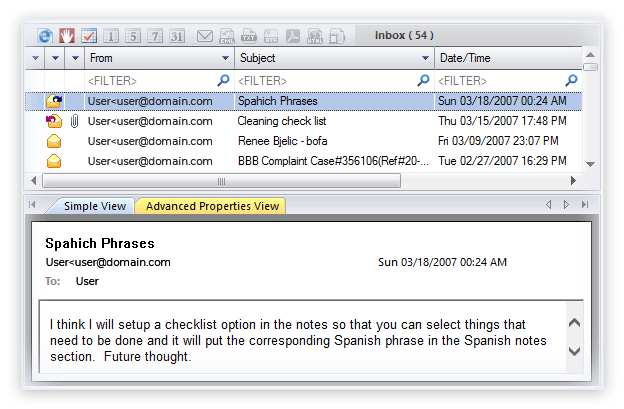 The OST Viewer tool allows you to save the list of OST emails in HTML format. You can copy or print this list. The tool also provides access to email attachments in a single click. OST Reader tool is capable of opening healthy as well as corrupt OST files. The software is capable of opening OST files without connecting to an Exchange profile. The tool makes the task of finding OST file easier with the Search option. This option locates the OST file within the specified location. You need to enter the drive in which you know your OST file is located. The tool will automatically fetch the OST file, and you can open it by clicking on it. You can open as many OST files as required. There is no restriction in the number of OST files to view. 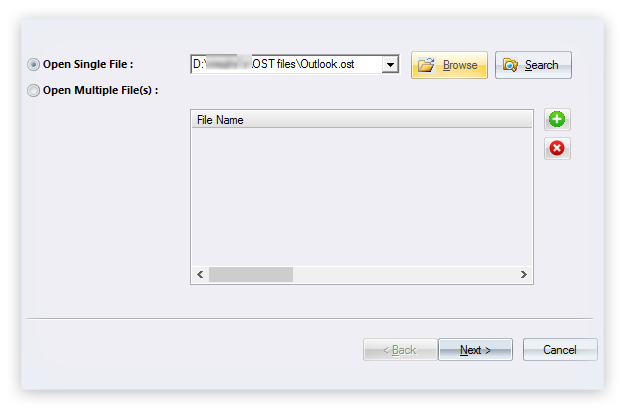 You can add multiple OST files with the + button in the Source File Selection dialogue box. This feature saves the users’ time from adding individual OST files one-by-one. Free OST Viewer tool creates reports having details of all item types such as emails, contacts, email flow density as per sender or data, notes, etc. It helps you analyze the OST file data. 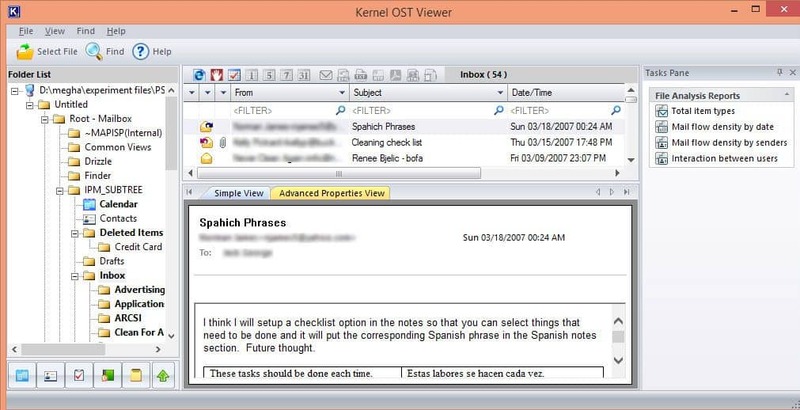 Kernel OST Viewer Free tool extends support for all versions of MS Exchange Server (2016, 2013, 2010, 2007, 2003, 2000, 5.5, and 5.0), MS Outlook (2016, 2013, 2010, 2007, 2003, 2002, 2000, 98, and 97). 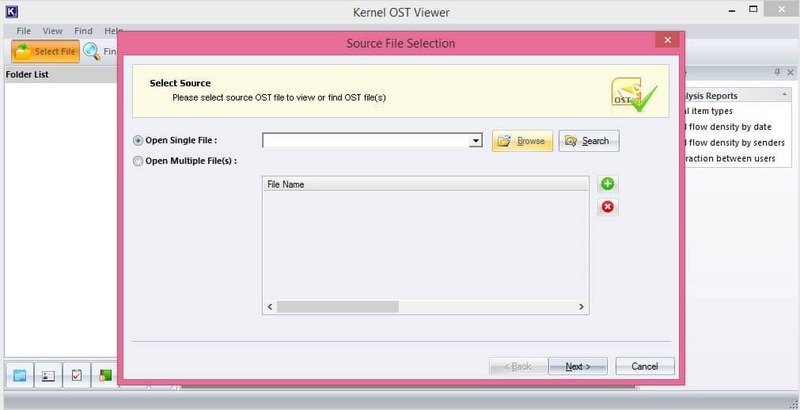 Kernel for OST viewer is a software made specifically to have a Preview of the complete data residing in OST files. With its simple interface, you can view OST data in 3 easy steps. Browse Use Search option to fetch all OST files from the selected system drive. 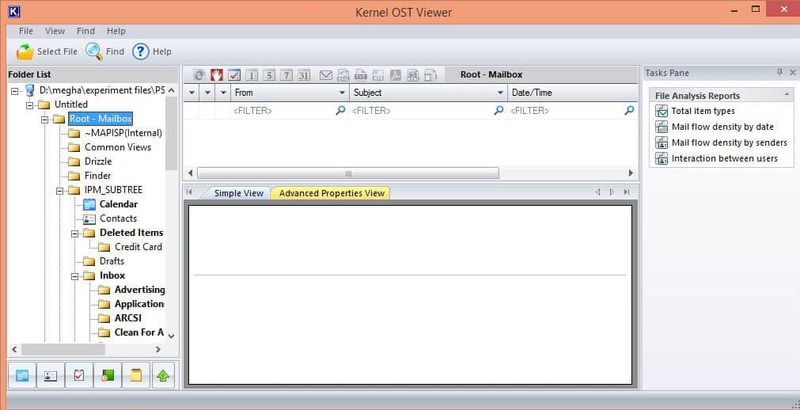 How to use Kernel OST Viewer? 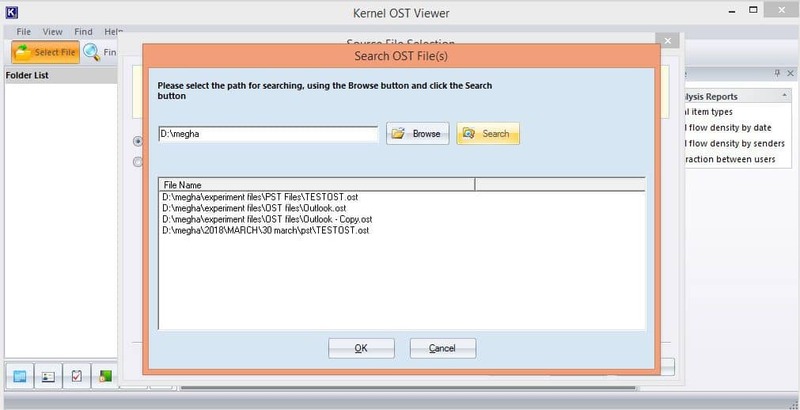 Kernel OST Viewer is an easy to use software that can view all your healthy or corrupted OST files in few simple steps. Let’s check them out. Run the software and click on the Browse button to select a single or multiple OST file(s) and click on Next to proceed. The system will show you the Process Information; there you need to click on the Finish button. In the next step, you need to click on the files you want to view. Select them one by one to view the content. Note: You can also generate an analysis report. For this, you need to select the type of report you want to generate from the right corner of the screen. I have Office 365 account configured in Outlook. Is my all data copied in local OST file? You can configure an Office 365 account in Outlook using IMAP configuration. Then as the rest data is saved as a copy of mailboxes in OST file, the configured Office 365 data is also copied in local OST file. When does an OST file becomes an orphan OST file? OST file, as we know is an offline copy of the mailbox available on the Exchange. To access OST file with latest information, its synchronization with Exchange is needed. When the mailbox is unavailable on Exchange Server permanently, then the OST file is termed as orphaned OST file. Does the OST Viewer tool allow Opening attachments from the mails? Step3: In the email preview double click on the attachment. Please help me to find my OST file. You can use Search option in OST Viewer tool to find your OST file easily by providing the drive location. I want more information about the File Analysis Reports feature of the tool. Please explain. Using the File Analysis Reports feature, you can have the overall information about the content of OST file. Let us have a look at the reports available. Total item types: Generates a graph between Total item types and item count. Mail flow density by date: Generates a graph between Item count and date. Mail flow density by senders: Generates graph between Item count and senders. 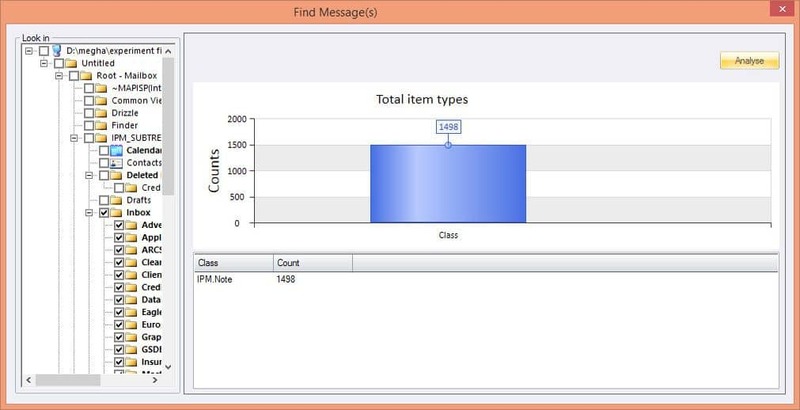 Interaction between users: Generates graph between Item count against Sender & Receiver pair. I wanted to view the data of a specific client from OST files that I saved 3 months back on my computer. Hence, I found this amazing utility offered by you, which helped me greatly to view all the details I required without paying a single penny. Thank you so much for providing this utility. Highly recommended a tool for viewing all types of OST files whether healthy or inaccessible due to corruption or damages. It is a wonderful tool which is available free of cost for its users. Launch the free OST Viewer application. In the Source File Selection dialog box, browse the OST file that you want to open. Then, select the OST file and click the OK button. Note: You can use the Search option to get the location of OST files in a specific drive. Once scanning procedure is completed, mailbox folders are displayed in the left panel in a tree-like structure. User can navigate through the folders listed in the left panel to view the content of the desired folders Inbox, Contacts, Calendar Items, Sent Items, and so on. To save the OST email list, click Save list information to HTML file button. To generate OST File Analysis Reports, click the required report type on the right pane. Then select the required folders and click Analyse. The OST file Analysis Report will be generated instantly. Used this tool without facing any errors and issues. I recommend it to all. This is a win-win dealI would recommend this to everyone in need. Open and read corrupt/healthy EDB files on stand-alone workstations. 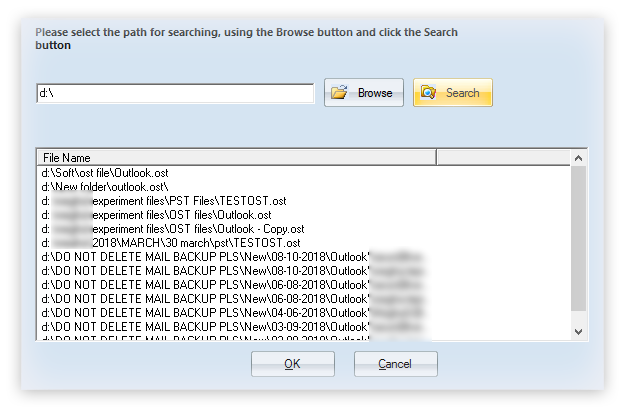 Open and view corrupted Outlook PST files without installing MS Outlook. Instant conversion of OST emails to PST, EML, MSG, Office 365 & Exchange.